School is out! School is out! SCHOOL IS OUT! Okay, yes, I am excited to have a break, but the end of a year is always bittersweet. I’m happy to be done with the school year and excited to be returning to the states after a whirlwind of experiences here in Guatemala. I’m also sad to be leaving the students and colleagues who have shaped me spiritually and professionally. Above all I am proud; proud of what the students of Colegio Bilingue Esperanza accomplished this year and proud of the units I was able to implement this year, such as basic music theory, rhythm, recorders, composers, olympics, dance and animation! It’s going to be difficult leaving this unique community, but I am anxious and excited to see what is in store for me in the coming months. 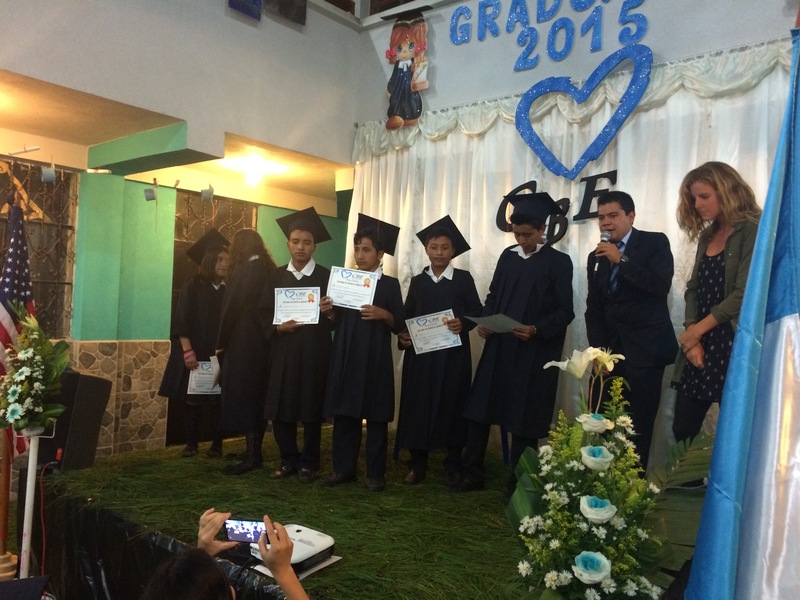 Congratulations Colegio Bilingüe Esperanza Class of 2015! To finish the year, we sang! Considering that English is their second (and for some third) language, it was not an easy feat. 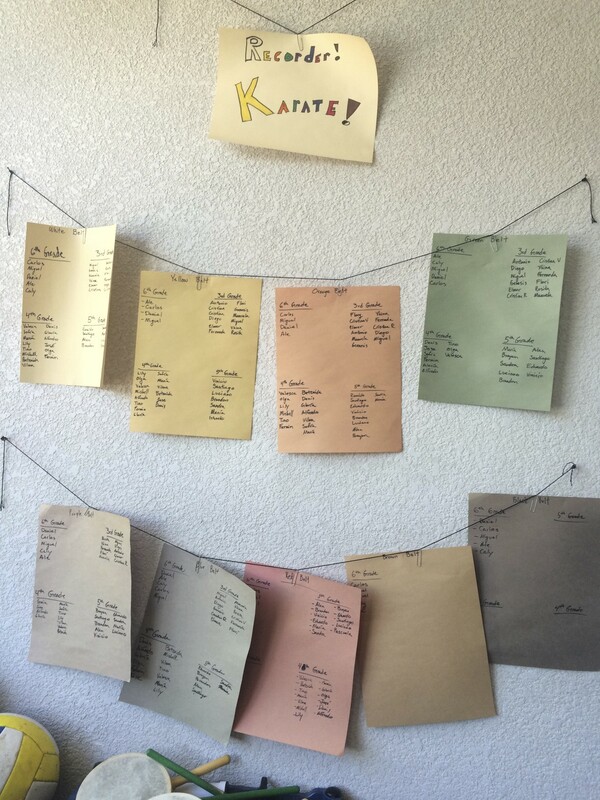 I placed the grades into groups, each of which learned a different song. The 5th and 6th graders tackled a mash up of Sara Bareilles’ “Brave” and Katy Perry’s “Roar.” The 3rd and 4th graders sang “You’ll Be In My Heart” from Tarzan, complete with hand signs. Finally, the 1st and 2nd graders enthusiastically sang “I Won’t Grow Up” from the musical Peter Pan. If you wish to see their performances, the videos are below. Enjoy! I love these moments, these “ah-ha” moments! It’s the reason why people like me go into education. We love seeing realization and revelation during a school day; when the light bulb switches from off to on, when students problem solve, when the student becomes the teacher. This month, the 6th graders have been working on a project on animation and how music conveys emotion and character in storytelling. Like the moment above, there have been many moments in which the student became the teacher. It’s been a long project, but I am excited and happy to share the final draft of what my students created, as well as their creative processes. We spent two weeks studying composers of the past and present. We started with the obvious candidates: Mozart and Beethoven. We studied their lives, listened to their creations, and compared and contrasted their lives using visual aids. Once I felt that my students had a basic understanding of the lives and music of historical composers, I added a contemporary composer named Michael Giacchino. We analyzed what is arguably his most famous musical work in the film, “Up,” and also discussed how his music enhanced the storytelling of Carl and Ellie’s love story at the beginning of the film. 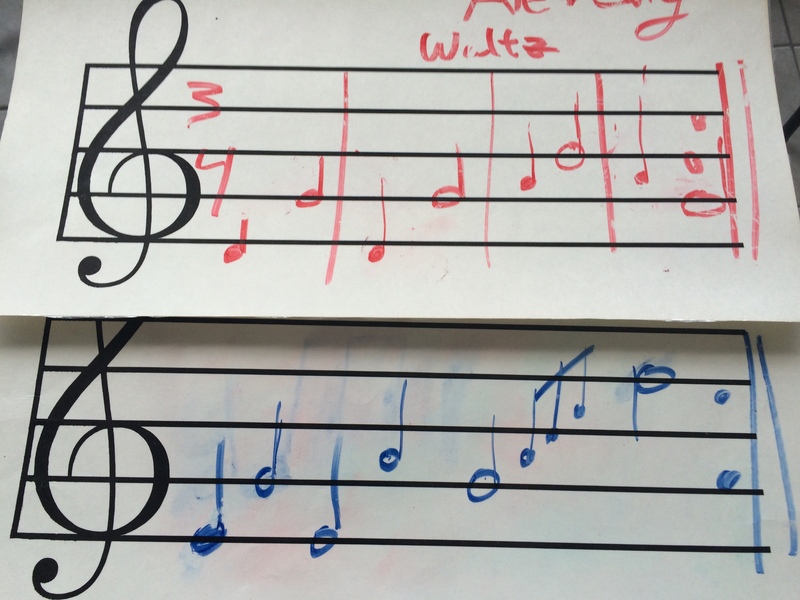 Two students’ compositions recorded on a laminated treble clef sheet with white board makers. After we studied these three composers, we became composers of our own. We talked about how the composers could have created such beautiful works, concluding that they would simply play their instrument of choice and write down what they played. If they didn’t like what they wrote, then they would erase it and start again. We spent about two weeks working on compositions in this manner. 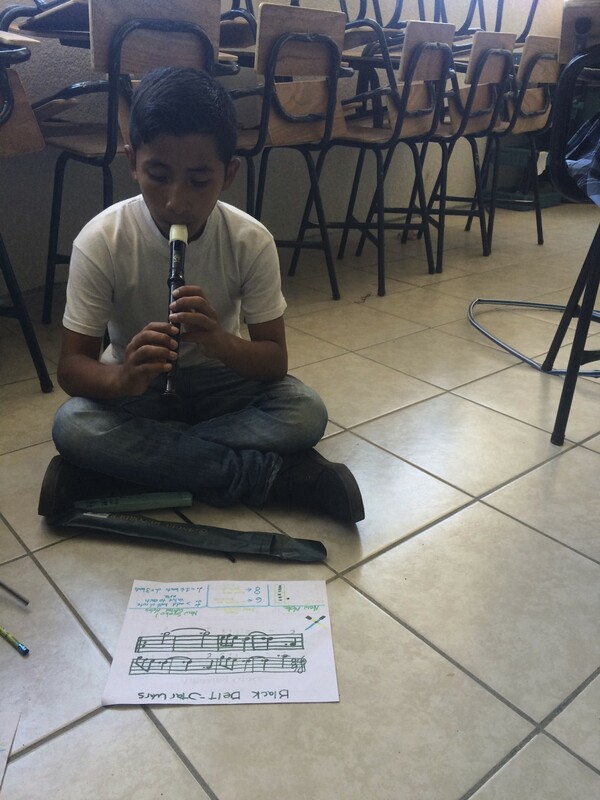 In this time, the students would play their recorder, write down what they played, play what they had written, and then decide if they liked what they’d written. It was quite a frustrating process because my students were very picky. In the end, I was thrilled to see my students’ pride in what they had created. Here we put our compositions on pause to talk about the second component of the project – the visuals. I had previously decided that I wanted my students to learn stop motion animation using the iPad application iMotion. In order to introduce the technique, I shared a behind the scenes clip of the movie “Corpse Bride.” The clip discusses how the filmmakers created the sets and animated character actions by meticulously moving the dolls and taking pictures of every slight movement. A selection of some of the figures my students created which include: a girl, a small garden, a dolphin, a shark, a starfish, and a snake. We then discussed how our class would be using my iPad to create their animation videos. 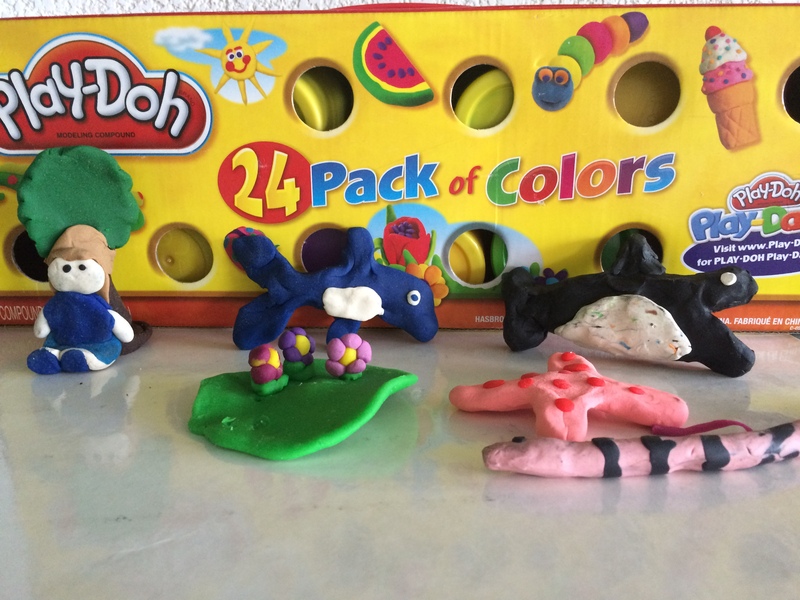 We used donated playdough to create the figures that would later come to life. The students had three weeks to create and film their animation. Their only requirement was to include an event in their video. This could be someone drinking water, or an animal eating another animal, but the video had to include an action. At this point of the project, I realized I’d have to have some students start over because their hands were in the shots. This happened because they were trying to rush through the project quickly rather than go slowly to produce high quality work. The student also learned that they had to keep the iPad stationary to maintain continuity and avoid having to start over. Once they figured out the need for patience and attention to detail, the students produced great pieces of animation. With their compositions recorded and their visuals complete, all that was left was to merge the two. 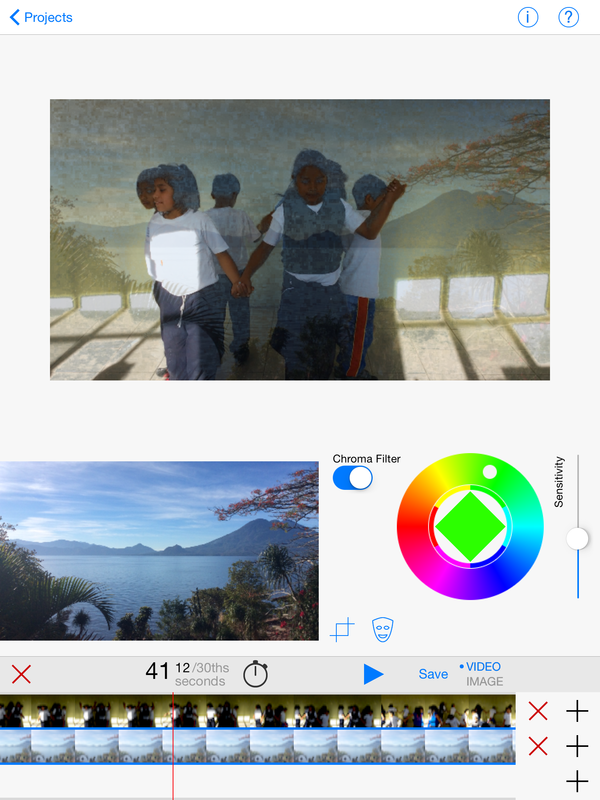 In order to do this I introduced the students to the application iMovie on the iPad and walked them through the process of selecting their animation and selecting their audio from within the application. Once the videos were ready, their final task was to upload the video to Youtube. A small group working with the iMovie to combine their visual with the audio. I think it is important, as educators, to constantly be re-evaluating our strategies and the application of ideas in our lesson plans. This not only improves the lesson unit, but also makes us better teachers. There are three areas I would have done differently now that the unit is finished. First, I would have liked to have taken the time to talk about different types of animation, such as hand drawn animation. I would have shown examples of the Disney classics and then a flip book. From there, the students might create their own flip books. This may have laid a better foundation for animation in general, especially considering they would have studied more types of animation rather than just stop motion animation. Second, I wish I had added a length requirement for the videos. I knew the videos would have to be short considering the amount of time we had to complete the unit, but in some cases the videos were too short. Most of the final videos were four to five seconds. For the first time doing a project like this, I think that is fine, but in the future I think the minimum length of the video should be 15 seconds which would require them to both write 15 seconds of music and create 15 seconds of animation as well. Finally, I would have had the students storyboard their projects before even writing their scores and creating their characters from playdough. Storyboarding is a process animators use in order to outline what they will be creating. We did not do this in the unit, and as a result, some of my students were confused on what exactly to write or create. I think that if they knew beforehand what story they were going to animate and score, the overall process would be more structured. The freedom I provided to create was good, but at the beginning of the project my students felt overwhelmed because they did not know where to start. Storyboarding would have provided the necessary structure and guidance to both write compositions and animate. Overall, I am incredibly proud of my students and their creative minds. This was the first time that they wrote their own pieces of music and the first time they worked with animation. The kids loved working with the technology, especially with the iMotion application. I had some students create multiple videos with different characters because they wanted to continue working with the filming technology. I am very proud of the result. 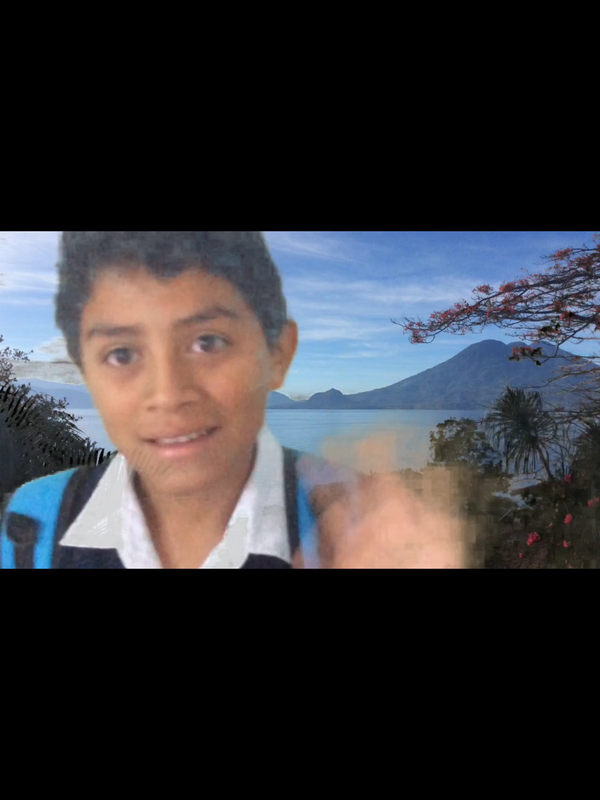 Below is what I think is the best video of the class, created by Ale and Caly. I hope you enjoy it. During June and July, I decided to run a dance unit for all my classes instead of doing sports. For students in first and second grade, we reviewed what they had learned for the parade last July. For my other students, each grade level received a different song based on their musical taste. For example, my third graders love Legos, so they learned a dance to “Everything is Awesome.” While we had great challenges, we were successful in other areas, and I am proud of the final result. Meet Eduardo who so willingly helped me test out the technology! The ultimate goal of this unit was to create a music video to the dance they were learning. I wanted to use a green screen (we painted my classroom to create one) in order to change the backgrounds for the students while they danced. Students were tasked with learning and filming the dance as well as editing the images. Using the application “Green Screen by Do Ink,” we found some challenges. The photo in the left shows a successful test run, but with some minor issues, such as blurriness. However, once we started filming we encountered major problems with students blending into the picture. I prompted the students to find a solution and after about 20 minutes of intense discussion and problem solving, the students came to me with answers. They concluded that they could not produce a well-edited video for three different reasons: the background did not completely match the color options given in the application, the clothing the students wore blended into the picture frame, and the sun shining through the windows brought some light to their faces, but it also distorted the final image. Here is what the students ran into! We had some great conversations about why this occurred. While I wish we could have figured out the technology behind the project, I’m proud of what the students accomplished during this time. First, students began to problem solve, a concept I’ve wanted to focus on with my older students. I was impressed with their conversation on why the technology didn’t work and their processes on trying to fix it. They looked at many different angles and eventually decided to try and re-film. Second, they (specifically my 3rd and 6th graders) worked hard to create the best dance video. At the beginning of the unit, many students were not pleased with the idea of doing a dance class in place of sports, and student motivation was at an all time low as a result. This quickly turned around once they saw the purpose behind the project – creating music videos with new technology to which they have not been exposed. They loved the idea, especially the technological component. I loved seeing my students more engaged in their learning because they were seeing technology used in a different manner. 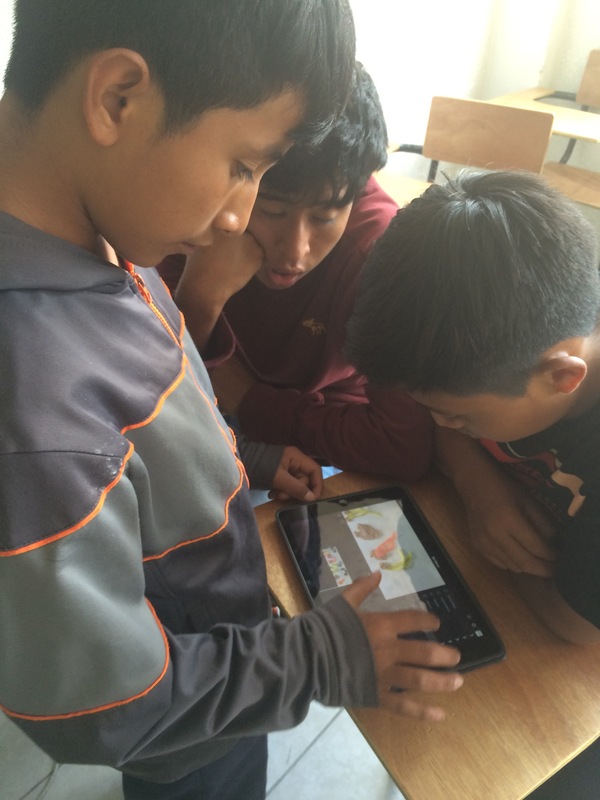 My older students walked away with a greater interest in how technology can work in their education. Overall, I’m happy with the final product. It may not have been what my students and I envisioned from the beginning, but we were able to have good conversations about compromise, technology, and problem solving. Below is a video of half of my third grade class. I hope you enjoy it. The kids before the parade.They were excited! 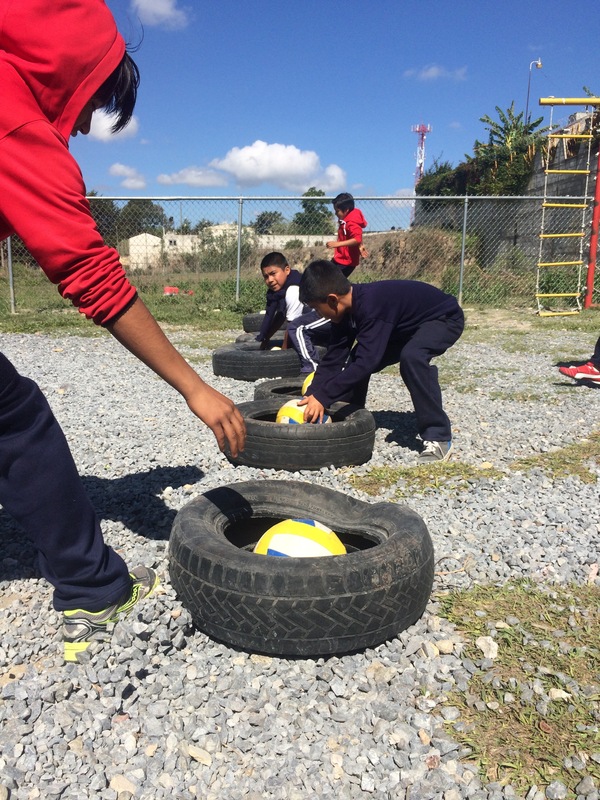 It’s been a whirlwind of fun here in Huehuetenango! Starting today and ending July 18 is Fiestas Julias, which translates to July Festivals. For the next week there will be stands on the streets filled with great food, snacks, and souvenirs. There will be a carnival in town, and of course more fun to be had. What are we celebrating? I am still not exactly sure. From what I understand from one of my colleagues and a brief search on the internet, it is a week to celebrate the mother of the Virgin Mary, Señora Santa Ana. We (the staff of Colegio Bilingüe Esperanza) are going to take this week to rest, reset, and immerse ourselves into festival! But before any of that could begin, we had to dance in the streets. Costumes of the school ahead of us in the parade. The week kicks off with a parade of all the schools in the department. 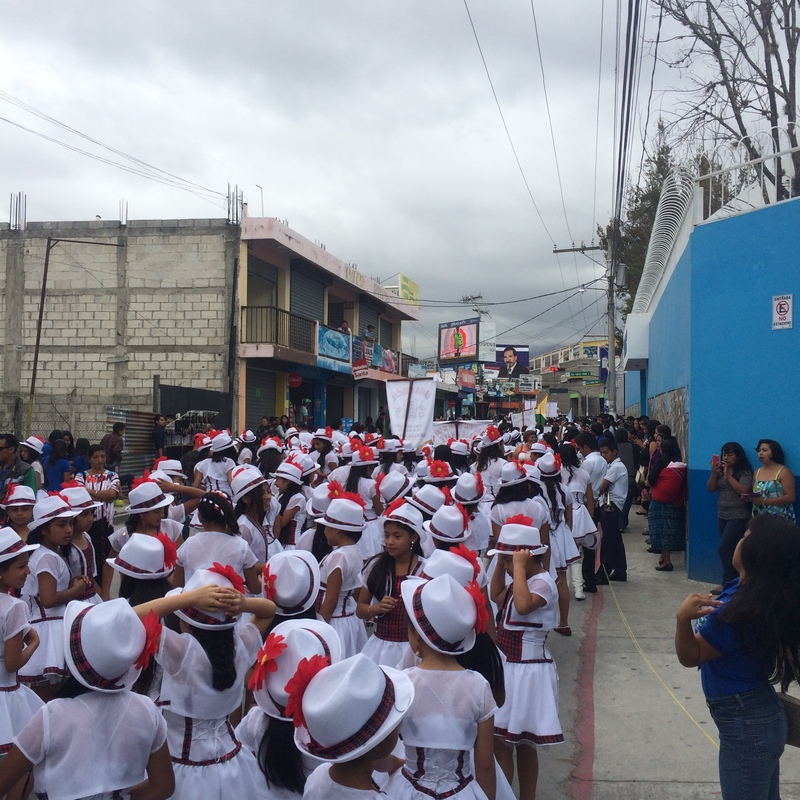 Most of the schools in the area use a live band to play songs such as Adele’s “Rolling in the Deep” and Bruno Mars’ “Uptown Funk.” Our number was a flash mob dance routine featuring bands such as The 1975, Bruno Mars, Taylor Swift, and of course One Direction, our students favorite band. Our school wore our school uniforms with matching navy blue ties for the boys and bows for the girls. Other schools have matching costumes ranging from cowboys and cowgirls to younger students wearing animal costumes, and traditional dress as well. Practice begins early. Our school started learning our routine for 40 minutes each day at the beginning of June. The week of the parade we took the students outside to practice walking while doing the choreography. I am so proud of these kids. During practices, they worked hard and carefully followed directions in order to improve. During the parade, we were a major hit, receiving compliments and screams from the crowd because they were singing in English and dancing in sync. This led to local parents wanting more information about our school! 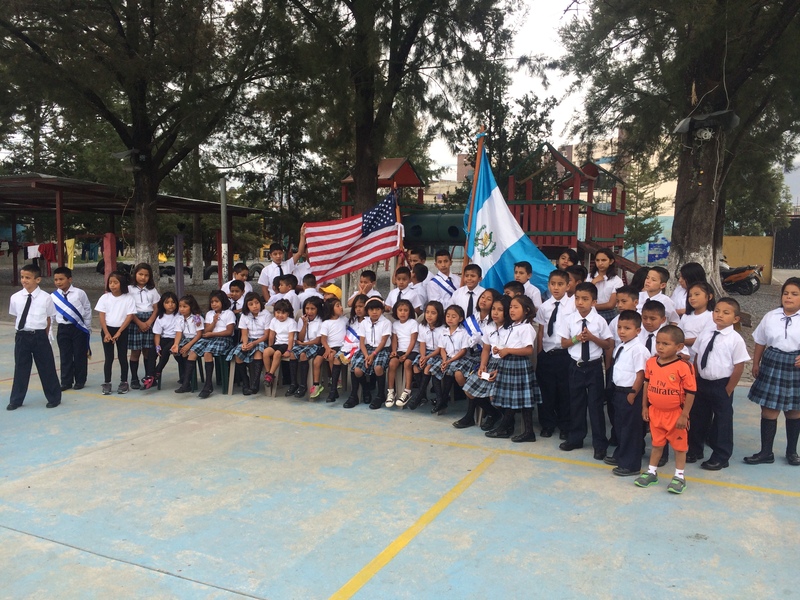 Our banner featuring the United States flag and the Guatemalan flag! I loved being a part of the creative process. I was in charge of teaching the kids Phil Wickham’s “At Your Name” during Music class. We sang this song in between our dance sessions during the parade. Myself, an English teacher Carolyn Boustead, and Spanish teacher Alfredo Figueroa spent one afternoon choreographing the dance together. I was encouraged by the way the three of us were able to bounce ideas off of each other to eventually create a dance that was both fun and challenging for the students. Below are two videos. The first one is of the full dance during an earlier portion of the parade route (Special thanks to my friend Bethany Moore for filming). The second video is a short clip of part of the dance about halfway through the parade route. Thanks to Mark Wakefield for sharing the video! Enjoy! 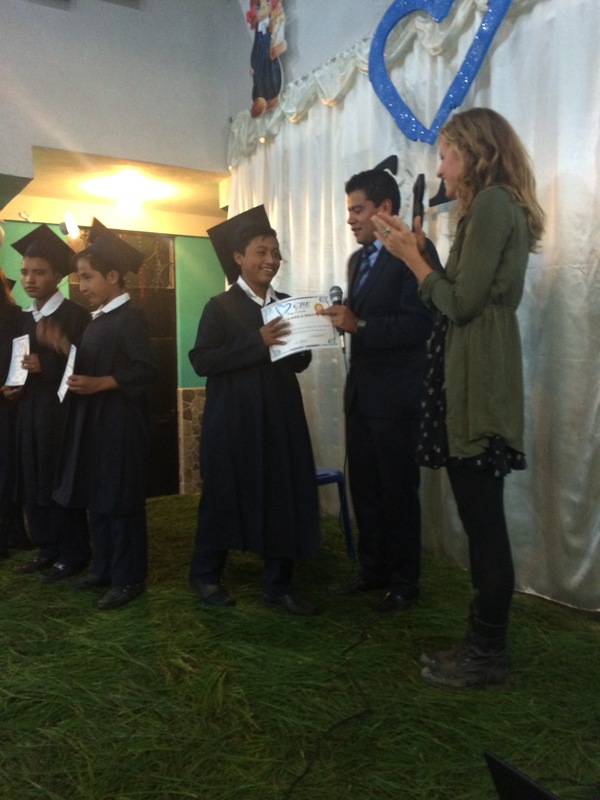 It was fun to be a part of a great Huehuetenango tradition. This is the chart i have in my classroom outlining student progress. While at Pepperdine, I studied the methodology of teaching Elementary Music. In class, we discussed student-friendly methods to effectively create a musical classroom. One of the assignments I was given was to develop and teach a recorder lesson for elementary students. My professor provided us with song suggestions, but I wanted to do a different song. I went to my professor and asked if I could use the Star Wars theme instead of one of the other songs she provided. She eagerly said yes! From there, we spent an hour in her office creating the sheet music and rhythmic patterns that would be used for the lesson. It was a blast! When I first taught the lesson, back before I had any teaching experience, it flopped; however, I saved the lesson, knowing that the content and idea were good. Today, my 6th graders completed my Star Wars lesson, and it was a success. I have been impressed with their progress, but I was particularly happy to see how quickly they picked up this song. They were determined to finish strong and go out with a bang! routine and skill since the beginning of the recorder unit. Once they finish a trial run of the song on their own, I scaffold new music theory rules that are relevant to each song in a group setting. I ask the students to draw each symbol that they circled on their music on the board. From there, we slowly go through each new concept and define it. After the group discussion, we play the music together one measure at a time. Usually the playing portion will take a couple of class periods to complete and perfect. Today, my 6th grade students completed this whole routine in one day. I am proud of the growth of all of my classes, but today I am especially proud of my 6th grade students. Below is a video of three students playing the song. I hope you enjoy! I think this video captures their personalities perfectly. Recently I have been incorporating games from PEgames.org in class. We’ve had some great successes these past few months playing games like Dr. Dodgeball, Cops and Robbers, and Garden Ball. Sometimes there are days when the students get “creative” with the games we play. This week I had one of those days with my 5th graders. Like all of my classes, my 5th graders have their challenges, especially since some are several years ahead of their peers developmentally. In this class, I have nine students tota between the ages of 10 and 15. In the states, that would be the difference between late elementary school and early high school. The challenge with this class has been finding games that will challenge both age groups to push themselves athletically. The start of the game is the same as any variation of Dodgeball. Both teams split up to opposite sides. When the teacher blows the whistle or yells “go” students run to the center to grab balls. During class yesterday, I gave the kids two options while we were stretching. I said we could either play Dr. Dodgeball or Cops and Robbers. One of my younger students asked me in perfect English, “Teacher, what if we combine the games?” I responded with excitement, knowing that the kids would get creative. I prompted the students to come up with new rules while we were stretching. And so we did. The game is called Doctors and Robbers, and it is a blast. In order to fully understand this game I suggest reading the rules for both Dr. Dodgeball, and Cops and Robbers. 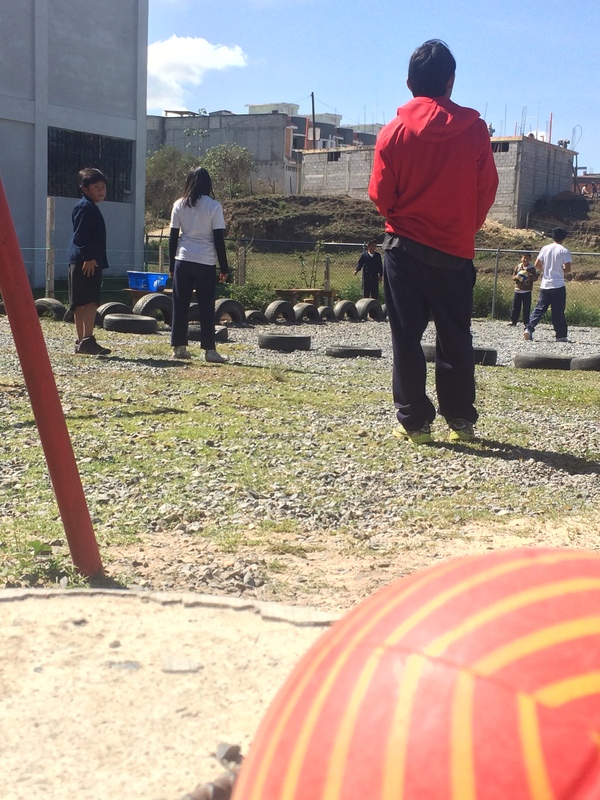 The object of the game is simple: a player must travel to the other team’s side to steal their precious items (sports balls, ropes, hula hoops, etc.) and bring them to their team’s base without getting hit by a ball. In order to get a player out, the opposite team must either A) hit the player with a ball from at least 5 feet away or B) tag them. If a player is tagged or hit with a ball, then that player must sit down until their team’s Doctor tags them to save them. It is the Doctor’s job to keep their team alive. When a team member dies, the Doctor must run to the fallen player and tag them to bring that player back to life. If the Doctor dies, the Doctor must sit and wait 30 seconds before returning to the game. During our first round, the class found that the game ended too quickly, so we decided to implement a scoring system: the first team to get 10 points wins the game. Students guarding their possessions at the start of another round. We spent the last five minutes of class having a reflective group discussion. Students gave suggestions on how they wanted to improve the game for the next time we played. They suggested we play in a bigger area and have more items to steal. My goal is for these students to develop critical thinking skills. This class period allowed my students to think creatively and critically about the class and the game. They are on their way not only to developing these critical thinking skills but also to communicating them more effectively in their second language. I was also impressed because they were able to reevaluate their ideas and communicate with each other to create a new rule. I look forward to seeing how this class can think critically and use their imaginations to invent more new games.